A view of the Temple Mount. Credit: Judy Lash Balint. 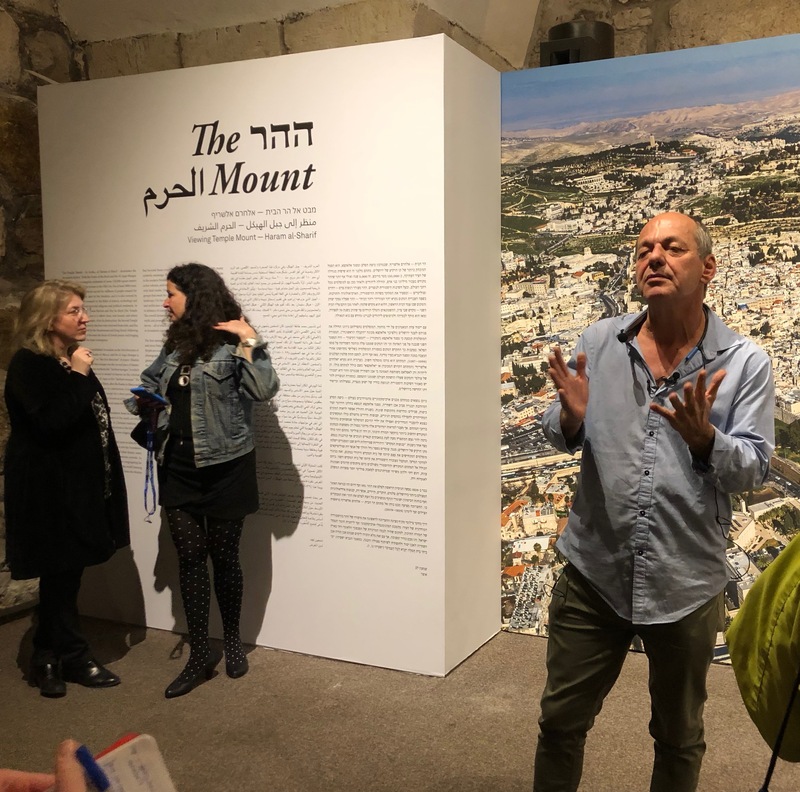 Titled “The Mount: A Photographic Journey to Temple Mount,” the exhibit incorporates images from the beginning of photography in 1836 all the way through to the virtual reality, or VR, of today. 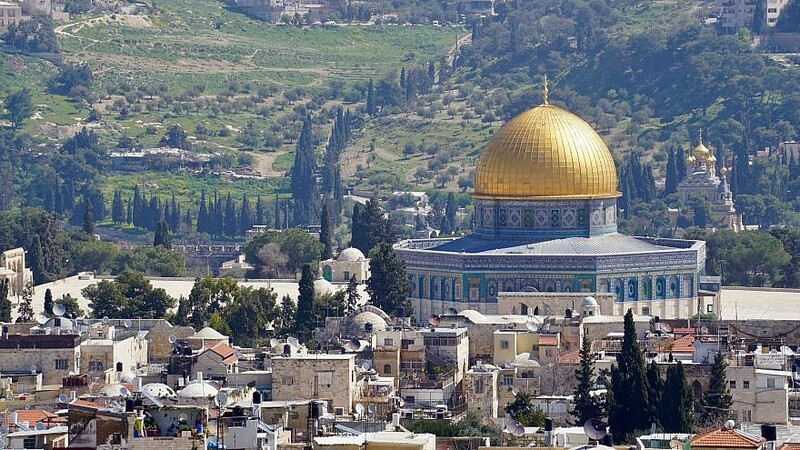 (March 28, 2019 / JNS) A few years ago, The New York Times called Temple Mount “the world’s most contested piece of real estate.” This week, a new exhibit of photographs of the site that’s holy to billions of people around the world and has been a tinderbox throughout its history will open at the Tower of David Museum in Jerusalem. Titled simply “The Mount: A Photographic Journey to Temple Mount,” the exhibit incorporates images from the beginning of photography in 1836 all the way through to the virtual reality, or VR, of today. In keeping with the Tower of David’s innovative approach to presenting Jerusalem history, the new exhibit includes a 24/7 live feed over the western side of the Mount from a camera atop the iconic Phasael Tower; an interactive table with touchscreen where visitors can get information on different parts of the compound and two virtual-reality experiences. Shimon Lev, curator in front of “The Mount: A Photographic Journey to Temple Mount Temple Mount compound, Dome of the Rock.” Credit: Judy Lash Balint. Despite the increase in non-Muslim visitors to the Mount over the past several years, many tourists are scared off by the threat of violence, and some Orthodox Jews follow the rabbinical ruling that it’s forbidden to ascend to the site where the Temple once stood since the exact site of the Holy of Holies is not known. In recent years, a growing number of rabbis began to permit and encourage Jews to go up to the mount, but the status quo arrangements between Israeli authorities and the Waqf (Muslim religious body that administers the site) forbid Jews and Christians from praying there, in addition to restricting access by non-Muslims to a few hours per day. That’s where the two virtual-reality experiences of the new exhibit come in. Both are the product of the Tower of David Innovation Lab that launched in 2017 to support companies in their development of unique technological solutions catering to visitors’ experience. One VR features a 3D camera that was set up inside the Dome of the Rock when it was completely empty. Developed into one 360-degree photo, anyone putting on the VR gear can experience the awesome nature of the place that surrounds the foundation stone of the world. It’s the closest any non-Muslim will get inside the dome, which has been officially closed to non-Muslim visitors for the past 20 years. The second VR experience is a three-minute encounter with prayers on the mount at the conclusion of the 2018 Ramadan season. Putting on the Oculus Go headset, what’s most striking is the immediacy and informality of the scene. Moving your head in one direction or another, you are virtually in the thick of the tens of thousands who stream onto the Tempe Mount during Ramadan. Look straight ahead and you can see men of all ages wander casually about the compound, some glancing with curiosity into the camera lens. In contrast to the new technology, the exhibit, which is housed in the Crusader Hall of the Museum, features seven sections of chronologically organized photographs taken of the mount during different periods since the advent of photography in 1839. The first photos focus on various structures in the compound with people posed to draw attention to the scale of the buildings. There’s a section of pictures with fading colors and images, taken by Jews and tourists who ascended the mount between the reunification of Jerusalem in the 1967 Six-Day War and the mid-1980s, shortly before the first intifada started in December of 1987. Through the hundreds of photographs on display in the exhibit—some iconic but others rarely seen—a picture emerges of one of the most potent symbols of religious and political divisions in the world. The exhibit is open at the Tower of David Museum, Jaffa Gate, from March 29 to Oct. Entrance is included in the general admission price to the museum. Guided tours in English on Mondays from 9:30 a.m-11 a.m., and Thursday from 1:30p.m-3 p.m. For more information, see: www.tod.org.il/en.